Madelyn has first-hand knowledge of the volunteer experience, not only because of her years honing her skills at the administrative level but also because she started at the Red Cross they way many people do – as a volunteer. In 2005, she became a volunteer after Hurricane Katrina and deployed in support of Red Cross relief efforts. After experiencing her first deployment, Madelyn felt connected with a newfound passion for the Red Cross. Her time as a volunteer gives Madelyn perspective on the importance of the volunteer experience as a whole, and she works toward providing a positive experience for each and every volunteer in the region. She understands the impact of their support and puts care and focus into making sure that they are placed where they can best make a difference. Madelyn gives volunteers opportunities that are the best fit for each individual’s strong suits and interests. “I don’t like having mindless, brainless, things for them to do,” Madelyn says. Madelyn’s goal is for each volunteer to be enriched with their experiences at the Red Cross and she encourages them use their passion to make change. “We have strong working relationships with volunteers and other departments,” Madelyn says. 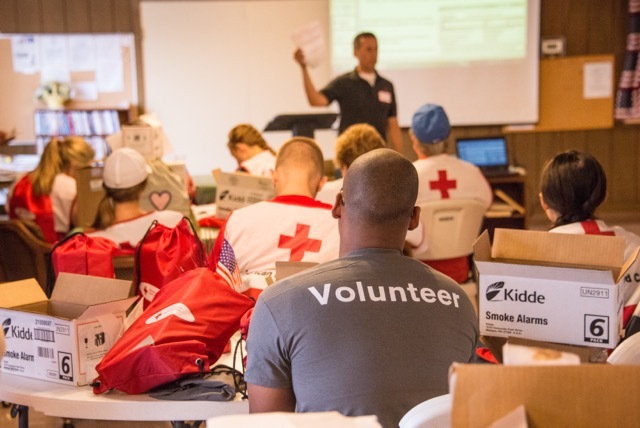 This allows for the Red Cross to provide volunteers unparalleled opportunities to do impactful work. The Desert to the Sea Region is always looking for new volunteers. There are endless opportunities for every skill set, schedule, and interest. 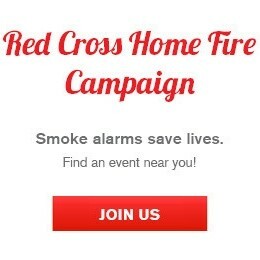 Visit redcross.org/volunteer to become a volunteer. Thank you for being my inspiring star. I miss working with the desert to the Sea community.